Thomas Dolby | Profile on TED.com. this is a very interesting profile of a really unique musician. Thomas Dolby brings his Time Capsule Tour to The Social on March 18th. That same fascination later drove him to become an electronic musician and multimedia artist whose groundbreaking work fused music with computer technology and video. Two decades, several film scores, five Grammy nominations and countless live-layered sound loops later, it’s clear Dolby’s innovations have changed the sound of popular music. 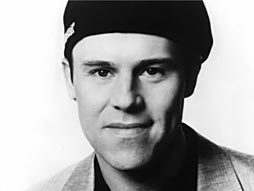 In the 1990s, Dolby re-created himself as a digital-musical entrepreneur, founding Beatnik, which developed the polyphonic ringtone software used in more than half a billion cell phones. Now back to touring and recording (after a 15-year hiatus), he’s using seriously retro technology — ’40s-era oscilloscopes and Royal Navy field-test equipment — to control his modern synthesizers, in shows that are at once nostalgic and cutting edge. And he continues his tenure as TED’s Music Director, leading the eclectic characters of the TED House Band.